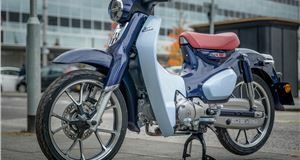 When it comes to low-cost commuting, Yamaha has been one of the leading lights with its 125cc motorcycles. And the YS125 is a very considered development on this theme rather than a revolution in design. Why such a cautious approach? Simple really. 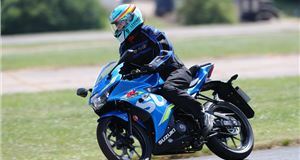 The previous YBR125 was a huge seller and found more than 55,000 willing buyers during its dozen-year spell on the new price list between 2005 and 2017. The YS is a new learner-legal commuter done very much by the numbers. 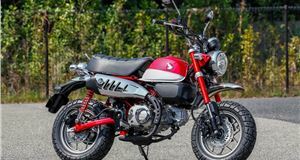 Key to this bike’s design is the fuel-injected 125cc single-cylinder engine that now meets EU4 emissions regulations. 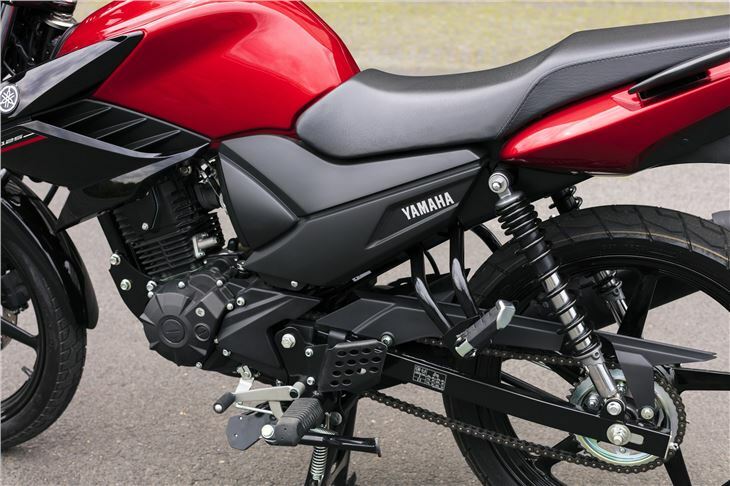 With a cleaner exhaust, which exits via an upswept silencer, there are no concerns about using this Yamaha in the city centre environment where it thrives. It also has a larger fuel tank, increasing by one litre to 14 litres. That doesn’t sound like much, but when you have a bike capable of 140mpg, it means around an extra 30 miles on every fill of the tank. For commuters, that’s likely to be an extra day between visits to the filling station, which always feels like a win. 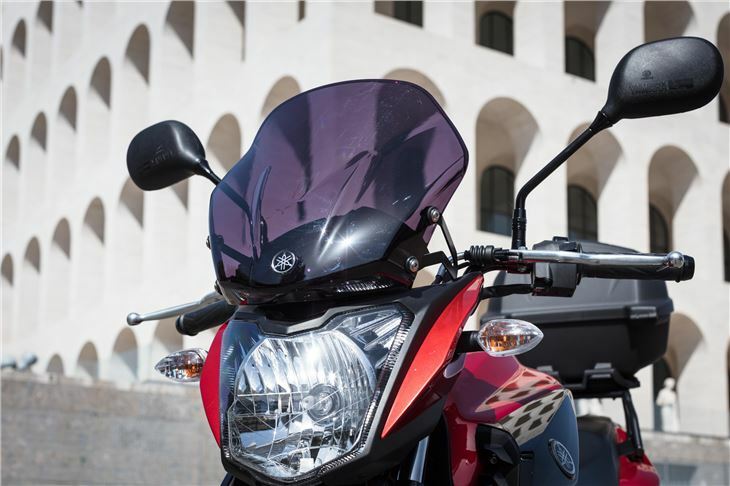 Other new bits for the YS include a headlight that’s integrated into the front fairing. 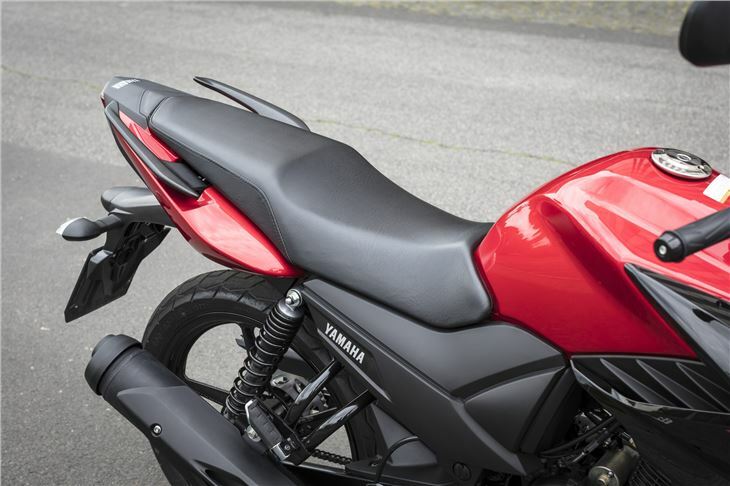 Together, they offer some modest protection from the elements, but if you plan on using this Yamaha for longer, faster rides or all-year round the optional screen would be a wise investment. You might as well add the rear rack and top box while you’re at it to make the YS as practical as possible. A good level of fit and finish on the YS means year-round use shouldn’t be too detrimental to the fasteners and appearance of the bike. 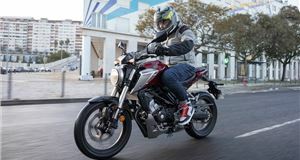 You do have to bear in mind it’s a budget machine, but our time with the Yamaha suggests it should bear up as well as the likes of the Honda CB125F. 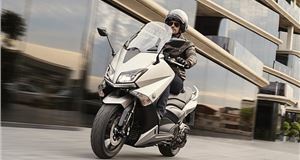 What might convince some to choose the Honda over the Yamaha is Honda's fractionally lower list price and a brighter range of colour combos. 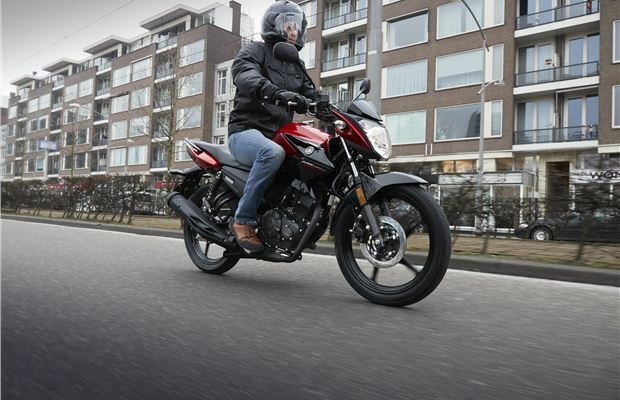 Take a ride on the YS125, though, and your decision may well come down in its favour. The Honda is very good, but the Yamaha just edges it for fun. This is down to the way it handles in corners and on roundabouts, where the 18-inch tyres offer plenty of grip allied to a fuss-free ride. Together, they make for easy commuting and are helped along by a very tight turning circle, low seat height and decent brakes, though ABS is absent from the equipment list. 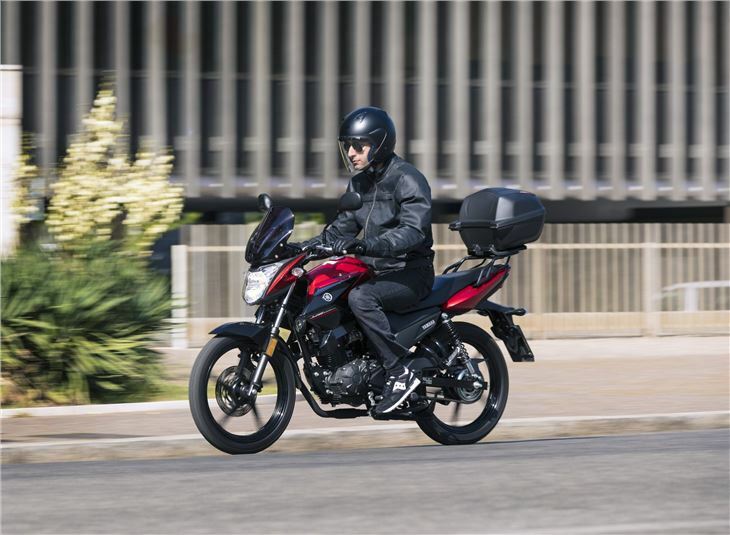 The single-cylinder 125cc engine whirrs away in a completely undemanding manner and takes the bike up to 60mph without straining. Attaining the claimed 70mph whack will take more effort and probably a little assistance from a downhill gradient or tail wind. The five-speed gearbox is a doddle to use and there’s a gear indicator on the dash, as well as an economy gauge to tell you when is best to change up or for peak efficiency. Make the most of this function and the Yamaha could cover more than 300 miles between fills. 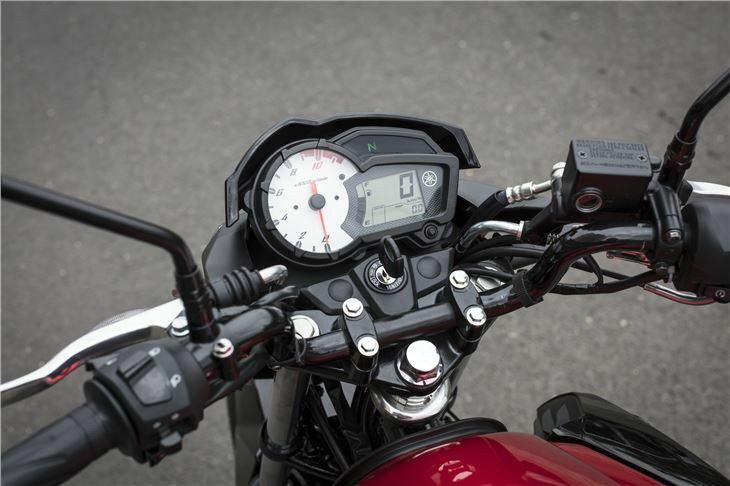 The rest of the dash is just as logical thanks to the digital display for speed and fuel, while the analogue rev counter is a surprisingly sporty touch for this down-to-earth machine. Yet the YS125 is all about getting the basics spot on, which it does by and large. The riding position is as natural as sitting in your favourite armchair at home, albeit with a bit less padding. The mirrors give a good view of what’s behind, while the pillion seat comes with grab handles and pegs set at the right height for sufficient comfort on lengthier commutes. It’s all very safe and predictable for the YS125. It sounds like Yamaha has played it all a bit on the dull side. But when a bike is as popular as this one, you can’t blame them for giving buyers what they want. 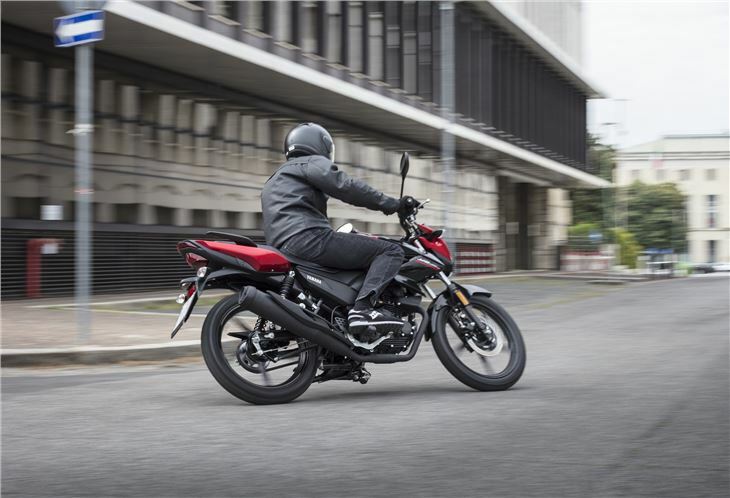 If you’re in the market for a no-frills commuter or A1 licence-friendly machine, the YS125 covers all bases. Performance: Top speed 70mph. Fuel consumption 140.9mpg (claimed). VED £19.